Medi is a leading international supplier of phlebology and orthopedic products. We offer a full line of ready-made and custom medical compression stockings, arm sleeves, anti-embolism stockings and non-prescription stockings designed to treat virtually all venous and lymphatic disorders. 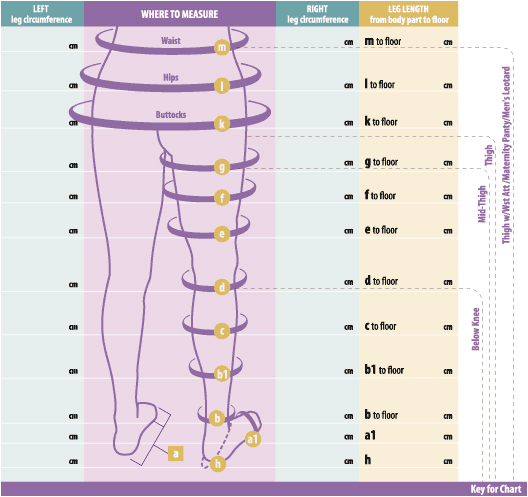 Compression stockings are a proven, effective non-surgical treatment for venous disease. Our non-prescription and prescription stockings can help support weakened veins and improve blood flow. This reduces swelling and improves circulation. MEDI medical compression stockings and products offer the best in comfort, appearance and therapeutic results. Arteries carry oxygen-rich blood away from your heart, while veins carry oxygen-depleted blood back to your heart and lungs. Veins and arteries contain valves that keep the blood flowing in the right direction. In the case of veins, the valves help fight the effects of gravity. The valves open, letting blood flow towards the heart, and then close to prevent the blood from flowing backwards towards the feet. Even mild vein disease can impact your overall health. Because your blood flow isn't operating as efficiently as it should, it becomes more difficult for blood to re-circulate and re-oxygenate—depriving cells throughout your body of the oxygen and nourishment they need. Left untreated, veins become permanently damaged and can sometimes lead to serious and debilitating conditions, such as blood clots and leg ulcers. If you are experiencing some of the early signs of vein disease, the good news is that its progression can be slowed or even stopped with proper treatment. Compression therapy combined with a healthy lifestyle and leg exercises are all methods your doctor may recommend to help you keep your veins and circulatory system strong. The most important thing you can do is educate yourself and talk to your doctor about your concerns.